Some change on the website causing an error... FIXED! 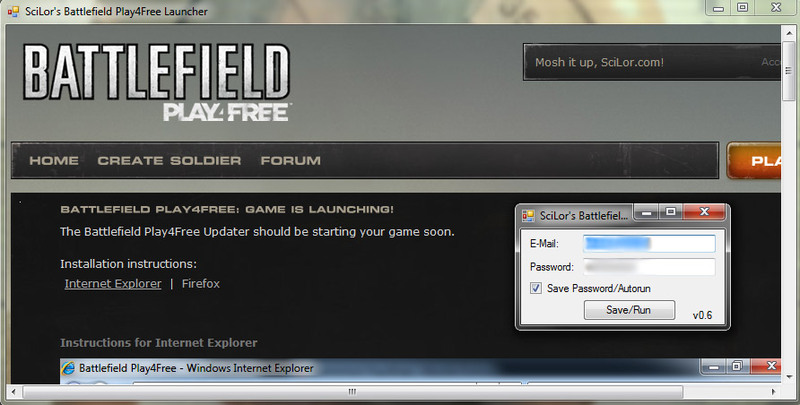 SciLor's Battlefield Play4Free Launcher is a program that allows starting Battlefield Play4Free over a Desktop Icon without the need of running the Internet Explorer, logging in manually and pressing the Play Now button. It is possible to create a Launcher for the game Vindictus ? For the europe-version http://vindictus.nexoneu.com/ and for the uk-version http://vindictus.nexon.net/ ?